We are a multidisciplinary team of scientists who investigate how mechanical forces determine muscle function at the molecular, cellular, tissue and organismal levels. Our motivation is to improve the understanding, diagnosis and treatment of cardiovascular and musculoskeletal diseases. At the same time, we train scientists, awake vocations in science and contribute to strengthen and disseminate the scientific culture. In the “Know more” page you will find more information about our current projects. Click on the “Interesting info” and “Downloads” sections for interesting links and files of the methods we use, lectures, seminars and talks. For updates and news, follow Jorge in twitter @AlegreCebollada. March 2019. We report a method to examine and interfere with nanomechanical properties of native proteins. Check out the preprint here. January 2019. Check out our review on the redox regulation of titin mechanics. September 2018. We host at CNIC the midterm meeting of MINOTAUR, a European Consortium funded by ERA-CVD to study metabolic therapies against heart failure. August 2018. Jorge is awarded the element Arsenic in the periodic table of younger chemists of the IUPAC. July 2018. 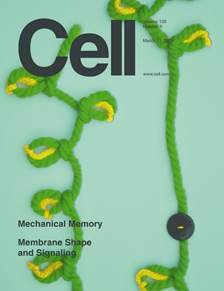 We are part of the Spanish Network of Excellence in Mechanobiology, alongside terrific cell biologists, and theoreticians. April 2018. Check out our preprint on calibration-independent atomic force microscopy @BioRxiv. Single-molecule AFM made faster and more accurate. Carolina has been awarded best Masters Thesis for this work.